After working to grow their Xina sushi and Chinese bistro into one of the Shore’s most successful eateries, the Lee family is expanding – this time on the opposite side of Barnegat Bay. Family members and friends gathered Tuesday to celebrate the opening of Free Range, the family’s newest restaurant and brainchild of Rick Lee, who said the new establishment fulfilled a long time dream of opening a more casual restaurant that specializes in sustainable and healthy foods. 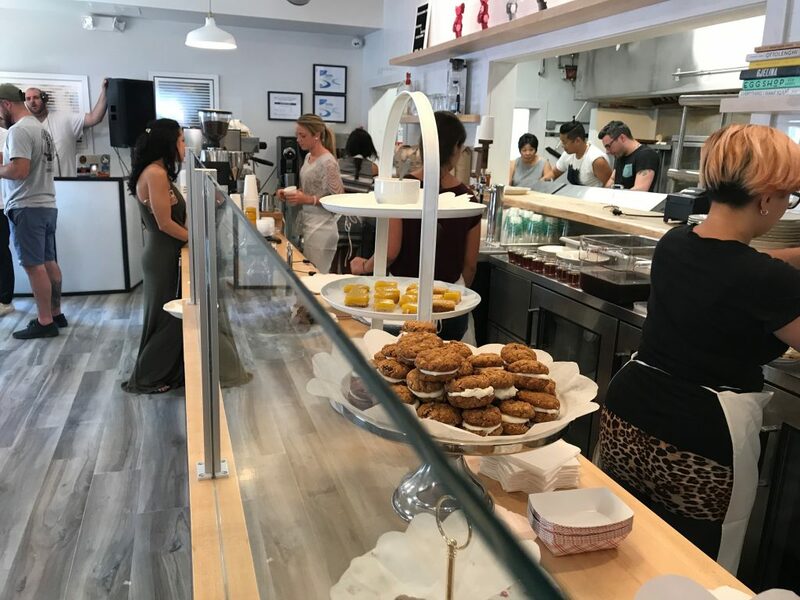 “I’ve always wanted to do a neighborhood coffee shop and eatery – nothing pretentious – just something comfortable, but with a conscience,” said Lee. Free Range serves “nothing that comes out of a bag and is dropped into a fryer,” Lee said, and will source its ingredients from local farmers in order to ensure the freshness and healthiness of its menu. “Having a relationship with the farmers we deal with at Xina is excellent, and we’re going to bring those ingredients to a different style of food,” said Lee. Free Range will serve fresh eggs each morning, including the signature “Morning Glory” dish, which combines scrambled eggs with chives, American cheese, avocado and carmelized onion on a brioche bun. Another dish, “The Boulevard,” will mix soft scrambled eggs with prosciutto, arugal and spicy mayor on ciabatta bread. Sandwiches, served the rest of the day, include free range chicken with mozzarella, house marinated peppers, pesto, Jersey tomatoes, balsamic vinegar and greens. There is also a hot, fried chicken sandwich and pork belly with chili aioli. Salad dishes include a Tuscan salad with kale, fennel and tomato confit along with chickpeas and parmesan cheese, and a chicken salad with free range chicken, greens, goat cheese and cilantro. A series of desserts were spread out at Tuesday’s gathering, from lemon tarts to cream-infused sweets. The restaurant has been in the making for over a year, and is located in the former “On Top of Spaghetti” restaurant on the Boulevard. 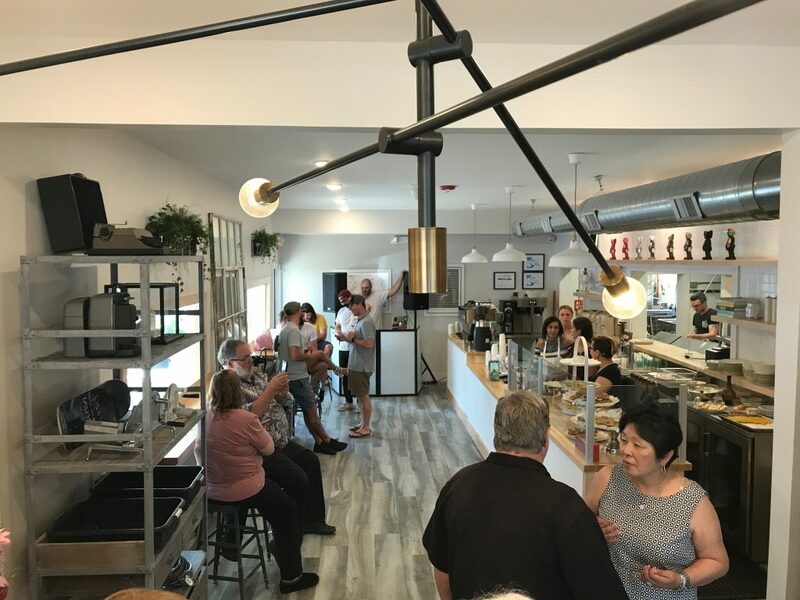 Officials have hailed the restaurant’s opening as the latest sign of Seaside Heights’ revitalization – especially given the fact that a successful restaurateur chose the location for a new establishment. “We’re very excited to have another solid building block in our rebuilding of the Boulevard,” said Mike Loundy, Director of Community Improvements for Seaside Heights. “The opening of Free Range has been a couple years coming, and we think it’s going to be worth the wait. Lee said his family purchased the property in March of 2016, knowing it would be a time-consuming effort to renovate the space and design it to his conceptual style. 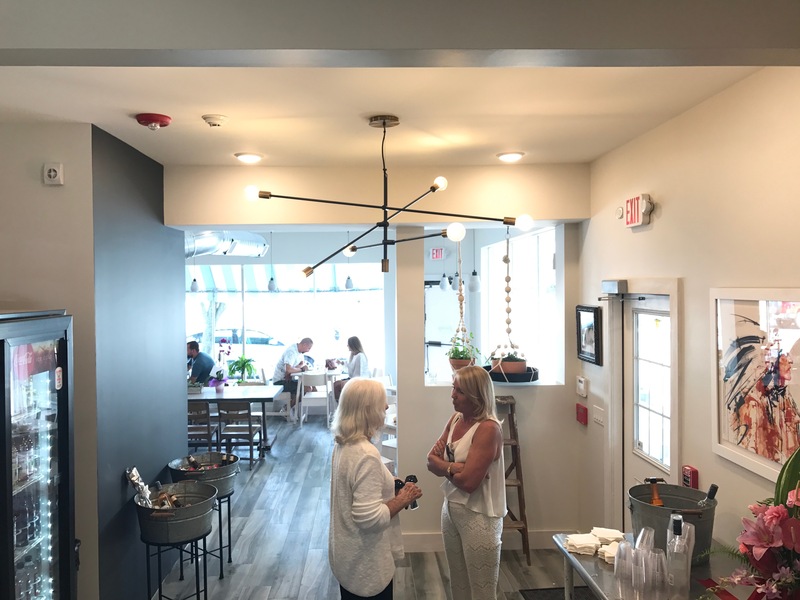 “The building was old, and after we opened up the floors, the ceilings and the walls, we knew we had to tackle a lot of the structural components too,” Lee said. “It involved engineering and architecture, and was a long process. The restaurant will now be open daily for the summer season, and Lee said he hopes there is enough of following to remain open year-round. 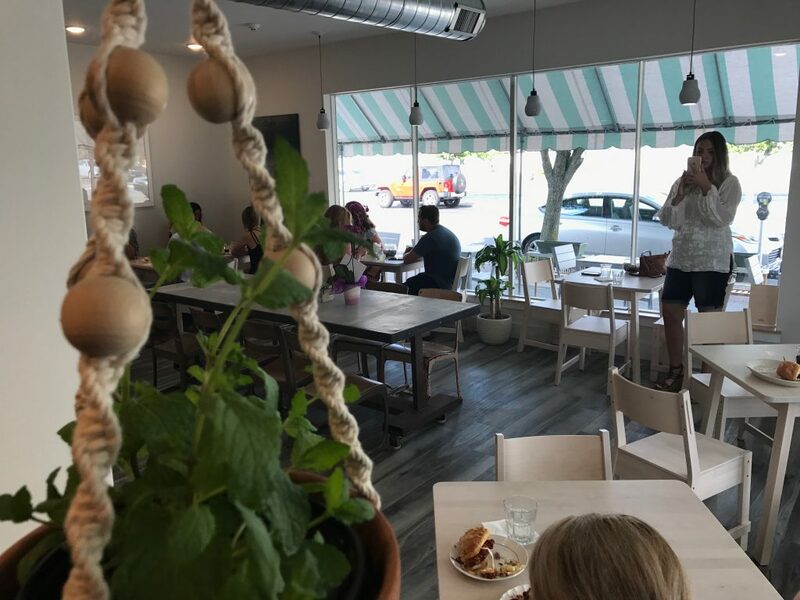 Free Range will join two other restaurants, including one relocating from Pennsylvania later this summer, that are opening on the Bulevard this season. 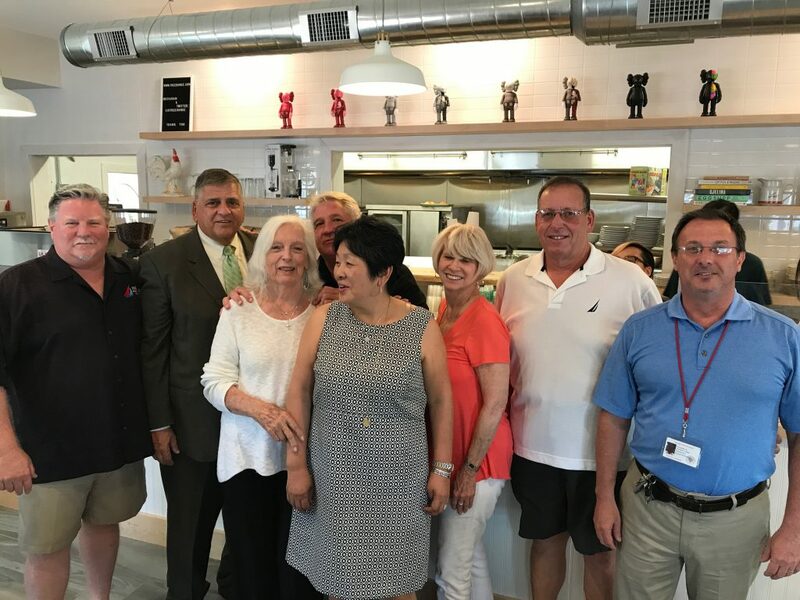 Seaside Heights officials, as well as Ocean County Freeholder Virginia Haines and Sheriff Michael Mastronardy were on hand for Tuesday’s celebration. “We’re very excited for this ‘restaurant row’ that’s being created,” Loundy said.